Laughing Dog Academy uses only positive reinforcement training methods, with an emphasis on clicker training. You will find absolutely no shock collars, choke collars, or prong collars. You will never be asked to "correct" or punish you dog. With positive training, you will learn to communicate better with your dog and motivate him to make the behavioral choices that you want to see. You will be amazed at how quickly your dog can learn and how much fun the training process is for both of you. With a little practice, you will develop a stronger bond with your furry friend and find yourself with a well-behaved and enthusiastic learner. People who use clicker training find that their dogs are generally calmer and happier. Learn how to teach your dog important basic behaviors that every dog should know, such as sit, down, stay, come, leave it, drop it, touch, etc. But the training doesn't stop there. We can help you make sure you are using these tools effectively in real-life situations. We have experience working with a wide range of challenging behavioral problems. Learn how to have your dog go for a walk without pulling on the leash or lunging and barking at dogs, people, bicycles, or whatever else he finds distracting. Get help for working with the excessive barker, jumper, or nipper. We regularly work with dogs who are overly excited, reactive to dogs and people, or fearful of new people, dogs, and situations. Have an extremely shy dog? We can help you help your dog to gain confidence and trust. Together we can develop a training and behavior modification plan designed for your particular dog's needs and your lifestyle. Dogs of all ages, from puppies to seniors, can learn through clicker training. It's never too soon or too late to start. And yes, you CAN teach an old dog new tricks! Sarah Stoycos (KPA CTP) is a Karen Pryor Academy Certified Training Partner and member of the Pet Professional Guild. She has been working with a variety of animal species for well over a decade and has experience working with many different behavioral issues. Family dogs, blind dogs, deaf dogs, reactive dogs, fearful dogs, and many many puppies have benefited from her expertise. In addition to working with dogs, Sarah has previously rescued and rehabilitated injured seals and abandoned seal pups, and has had experience caring for sanctuary chimps and monkeys. She is especially interested in helping dogs become happy, healthy life-long companions to their people. A former college professor who loves to teach, Sarah enjoys meeting new people and showing them ways to communicate better with their dogs, whether through classes or private in-home lessons. She founded Laughing Dog Academy not only to promote the humane training of dogs, but also to provide training and behavioral modification assistance so that dogs stay in their forever homes and out of shelters. Sarah is a great dog trainer who combines a wonderful knowledge of dogs with a down-to-earth approach, great enthusiasm, and a lovely sense of humor. 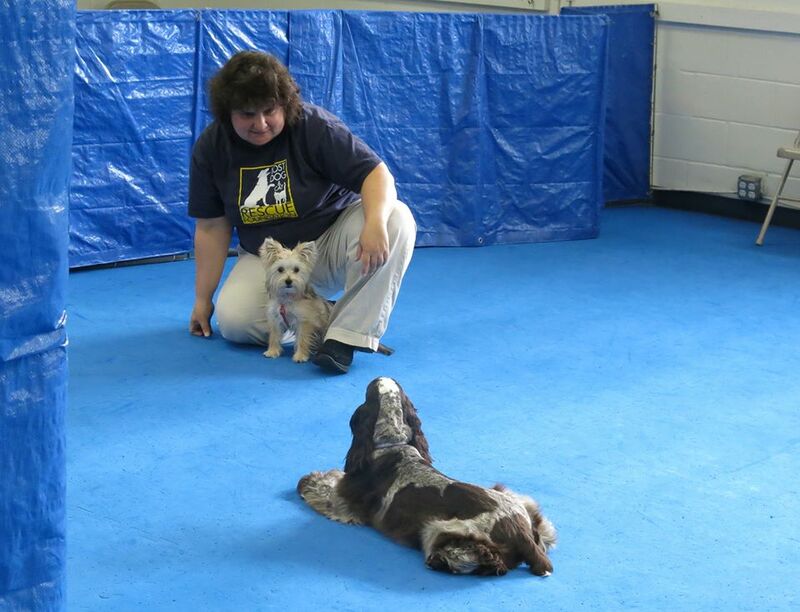 My dog was always beside herself with excitement when she got to Sarah's classes! Sarah was upbeat, helpful, and encouraging. 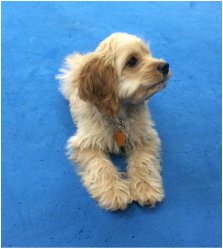 I saw all of the puppies learn and flourish in our puppy class. And we had a lot of fun! ...The hour you spent with Nicki and me has really turned things around. She is catching on very quickly. Much less demanding behavior. We even enjoyed some cuddle time on the sofa tonight. Thanks again.